How can i get rid of my grass and build a brick patio where my gazebo is? 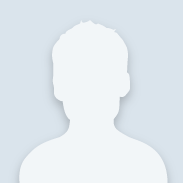 Hi COOLREY12 from Hempstead, AB Canada. The best way to build your brick patio will be to first, remove the grass. This can be done with a sod cutter if it is a larger area, or if it is a smaller area, you can use a flat shovel also known as a transfer shovel. The Sod Cutter should be available for rent at your local Home Depot Tool Rental. The Transfer Shovel will need to be purchased in the Garden Department. Once the grass has been removed, your next step should be to be to remove about 2-4 inches of soil and replace it with about 2 inches of course pack base material. This material should be dampened and then compacted. You can use a hand tamper for smaller jobs or if it is a larger area you may want to rent a motorized Plate Compactor from your local Home Depot Tool Rental. Once the course pack base has been prepared, you will want to use a Weed Mat to be placed over the top of the compacted course material. You next step will be to add 1-2 inces of the finishing sand. Dampen and compact this material as well. Once this has been done, you are ready to lay down your pavers. On the edge of where your pavers will be, you will want to place edger’s that will be fastened to the ground with steel spikes. 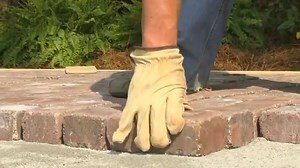 The plastic edger will prevent the brick pavers from migrating over time. 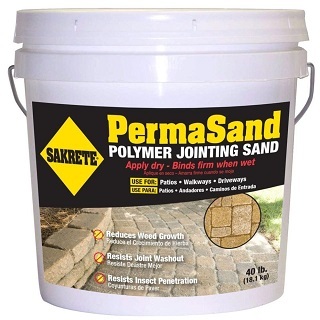 Once the edgers have been set up and the brick pavers laid down, you will want to finish off your project with PermaSand which is polymeric jointing sand. This sand will need to be swept into the joints between the brick pavers and then lightly tamped in. I used a kneeling cushion on the bottom of my tamper to make sure that the permasand was settled all the way. Once the PermaSand has tamped in and the excess swept off, lightly spray the joints. The PermaSand will need to be soaked all the way thru. Allow it to set for at least 24hrs to harden and then you should be ready to enjoy your new brick patio.